What is the best process for tennis court resurfacing in the upper midwest? The upper midwest is home to many things, especially extreme weather conditions. The hot summers and extremely cold winters can be very hard on asphalt and concrete tennis court surfaces. What is the best process for tennis court and resurfacing and repair in the upper midwest? It is pretty much the same as anywhere else, when using 100% acryic tennis court resurfacing and repair products. 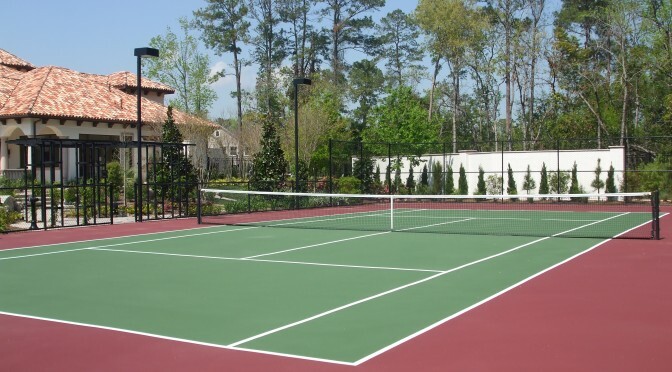 SportMaster is a leading brand of tennis court surfacing products. As the manufacturer, we are dedicated to providing our customers with a great overall experience. This means that we not only take care of our tennis court contractors, but also their customers. We want to make sure that the end-user gets a premium sport surface, every time. If you are looking for a factory authorized tennis court contractor, please reach out to us and we can provide you with our recommendations throughout the Upper Midwest or in your specific city. All you have to do is fill out the “contact us” form and someone will get back with you right away, to set up a site visit and free estimate. Contact us today for free referrals to qualified sport surfacing & construction contractors.